London, 6 October: The Global Warming Policy Forum (GWPF) has welcomed the Government’s decision to give the go-ahead for shale gas test drilling in Lancashire. 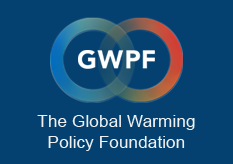 The GWPF has been the only think tank that has consistently argued for UK shale development. The knock-on effects of a shale gas revolution could be significant: cheaper energy could make UK manufacturing more competitive, gas and electricity bills could fall and the rising trend in fuel poverty could be reversed.